It’s that time of year at Winshuttle where we’re getting ready for our big Winshuttle User Group (WUG) meeting in September, and helping customers prepare their presentations. 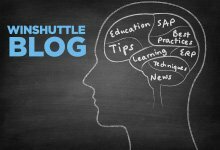 As a relative newcomer to Winshuttle and the wonderful world of SAP, I’ve found it very interesting to learn what our customers have achieved with our software. One theme that stands out loud and clear among our customer presenters this year is the importance of maintaining high-quality master data. If you’re a master data professional, this isn’t a surprise. After all, master data is the critical foundation for your transactional data, analytics, and reporting. I’ve learned from speaking with customers and other members of the Winshuttle team that one tiny error in a master data field can have major downstream consequences. For example, entering pounds instead of kilos as the unit of measure for a finished product can cause trucks to be overloaded and turned around at weigh stations—with the potential for disasterous effects on the business. So what are our customers doing to improve the quality of their master data and avoid costly downstream mishaps? It turns out taking a proactive approach to master data quality can lead to great success. 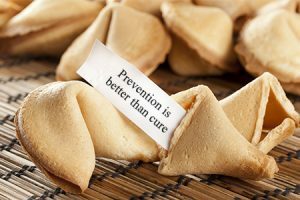 As is the case for human health, prevention is always better than the cure. While you can’t put your master data on a healthy track for clean eating and exercise, you can take steps to ensure the right data gets entered the first time. This is exactly what our customers are doing with our Foundation platform—taking manual, error-prone processes and transforming them into fast, automated workflows that dramatically improve data quality. 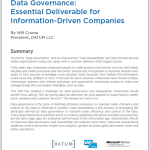 This proactive approach to master data governance starts with designing the right process—one where the right people provide or approve the right data at the right time. These process participants use a smart web form tailored to their role, and only work and view data that’s appropriate for them. While this goes a long way to making sure data is right the first time, it’s not enough. 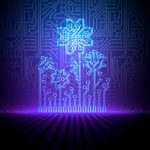 Our customers take full advantage of the data governance solutions we offer including duplicate checking, creating field validation rules, form logic and defining pick list values. This provides an extra layer of governance to what SAP provides while always complying with SAP’s underlying rules and user permissions. Whether they’re creating or updating material, customer, vendor or other master data records, our customers are actively using our solutions to reduce cycle times and improve the quality of the data that their businesses rely on. If you’d like to hear some of these customer stories live at our upcoming user group meeting in Atlanta, you visit our WUG site to get more information and register for the event. Can’t make it to Atlanta? No worries, you can check out our great library of customer case studies. We also have an upcoming webinar focused on proactive data governance, where you can see a demo of some of the features mentioned in this post. I hope to meet you in person at the WUG and hear your master data story. Jeanette is a senior product marketing manager at Winshuttle and has over 20 years experience helping technology companies define and market products that solve real-world problems for customers around the globe. Although based in our Bothell, WA headquarters, Jeanette hails from the UK.